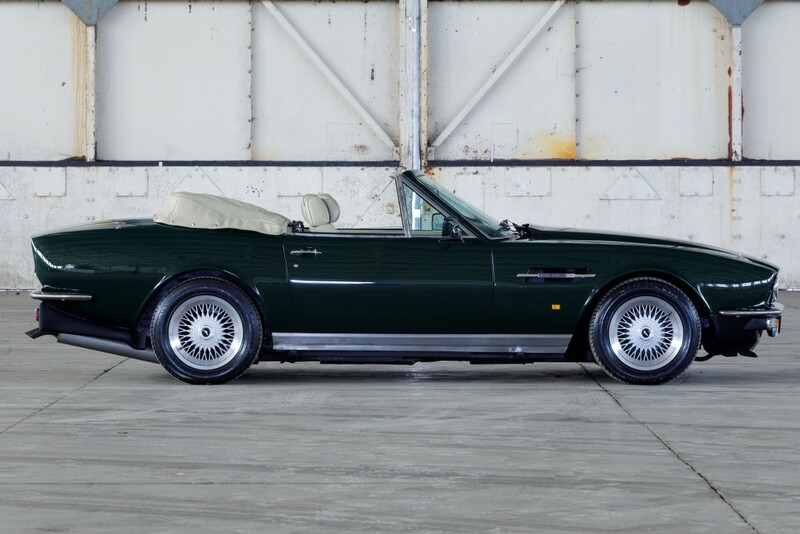 Ordered new by U2 bass guitarist Adam Clayton, it was delivered on the 20th September 1989 to Principle Management Ltd in Dublin. 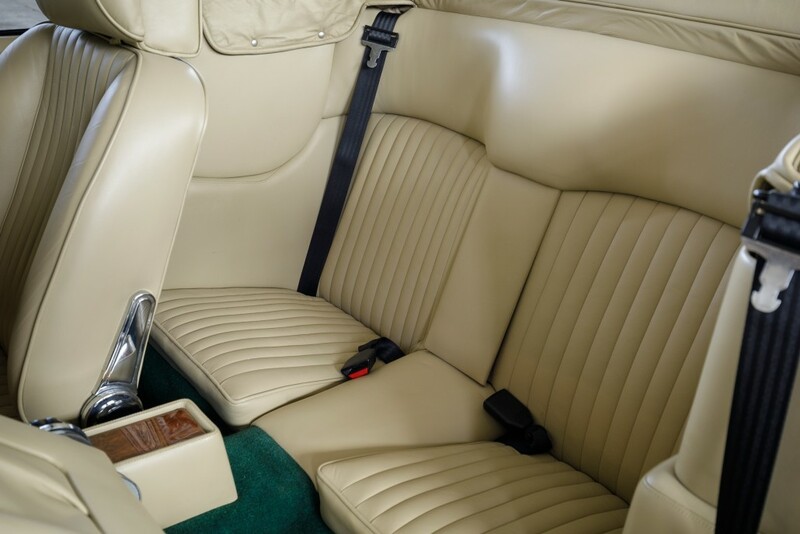 During his decade long ownership, Clayton was famously pulled over by the police whilst driving the Aston and a small amount of marijuana was discovered in the glove box (not included in the sale). 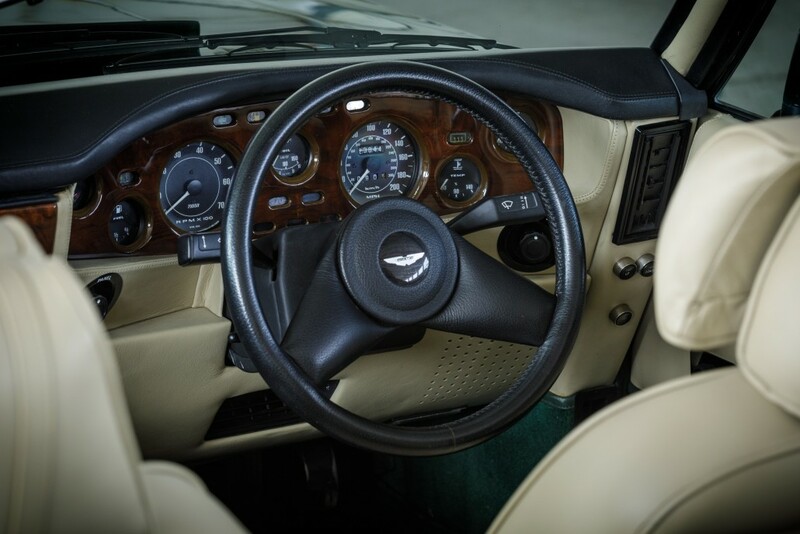 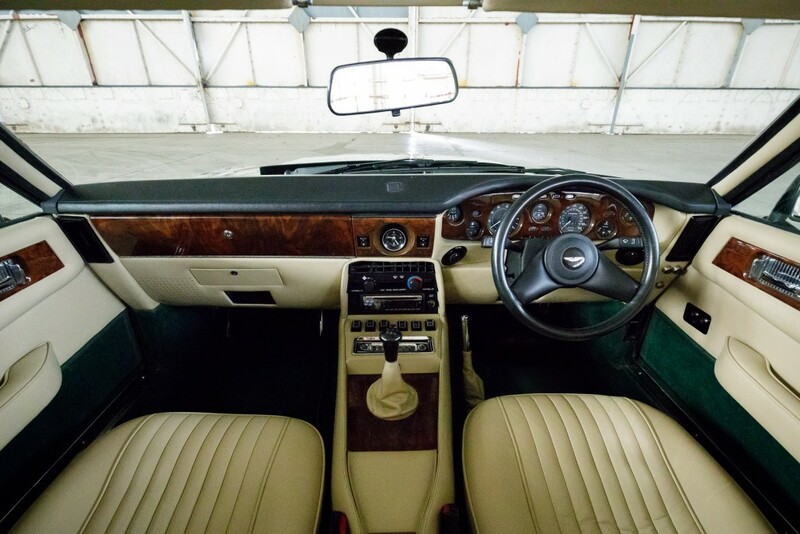 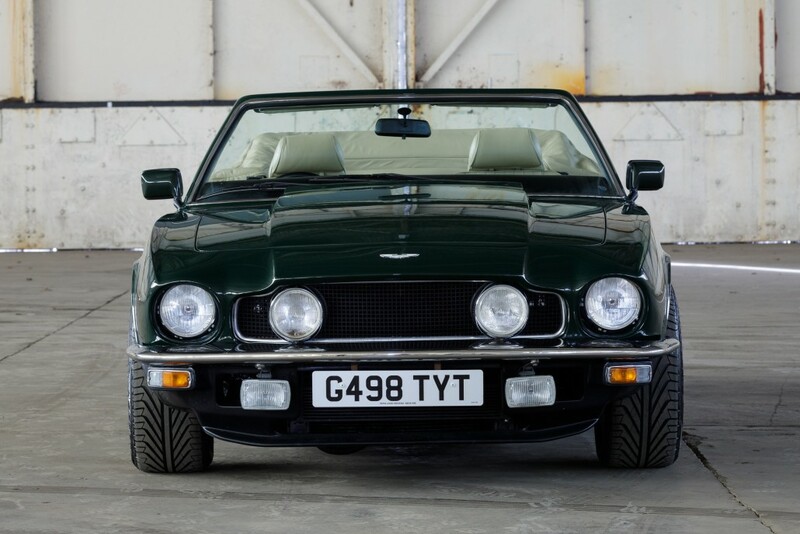 The second owner bought the Volante in 1999, a distinguished politician who initially kept it at his home in Sussex and more recently in Scotland. 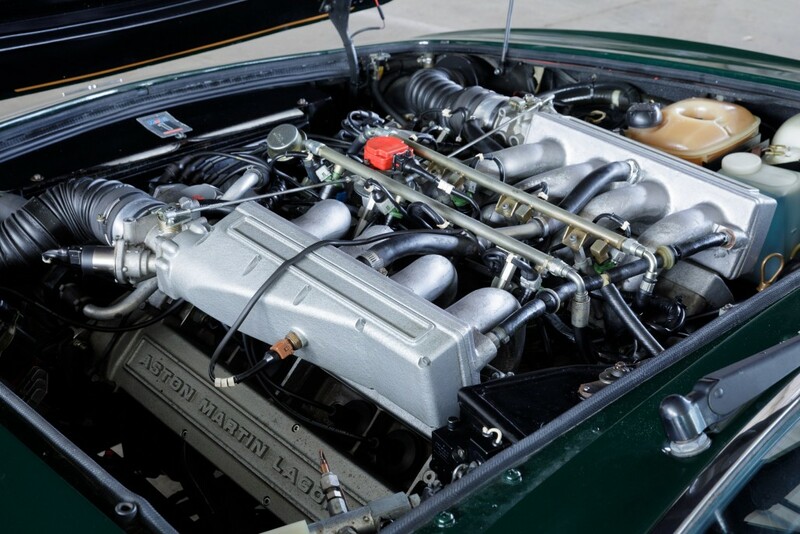 The original service voucher book is complete and up to date, with specialist service agents including Stratton Motor Company, Ian Mason and Newlands Motors since 2003. 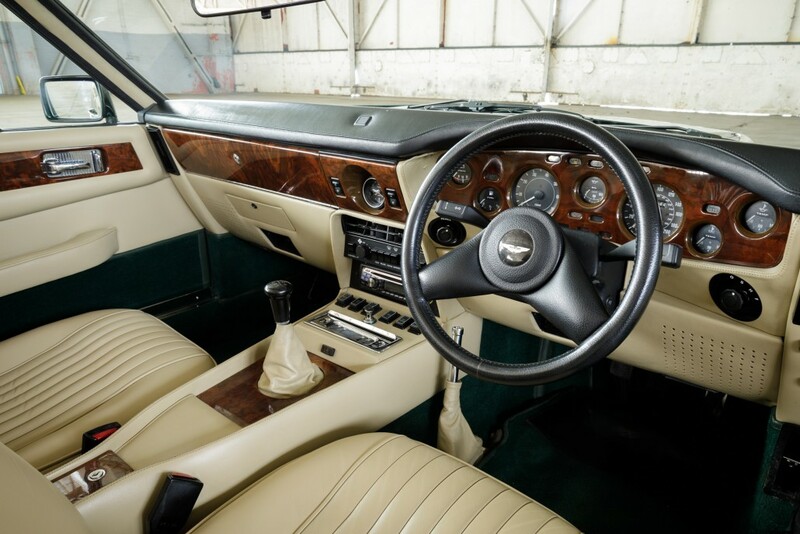 Never restored and always maintained to a very high standard, the interior is factory original and completely repainted in 2017. 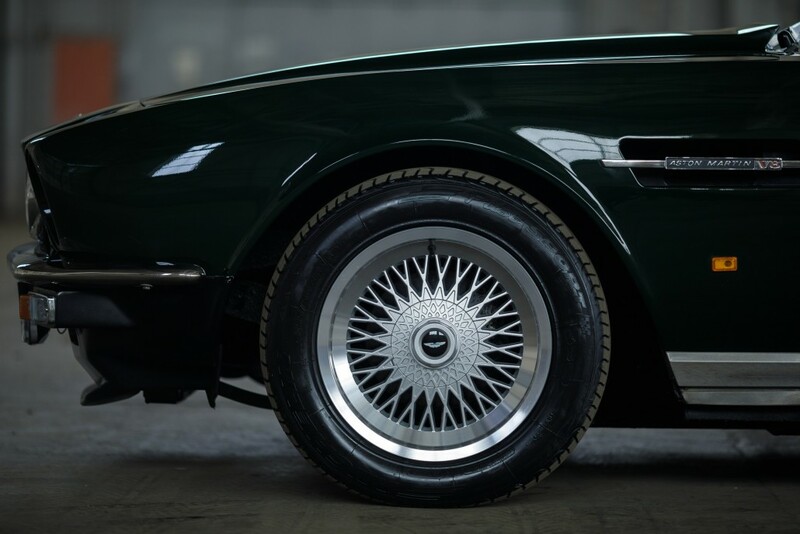 Currently fitted with Ronal wheels, the original BBS alloys accompany the car. 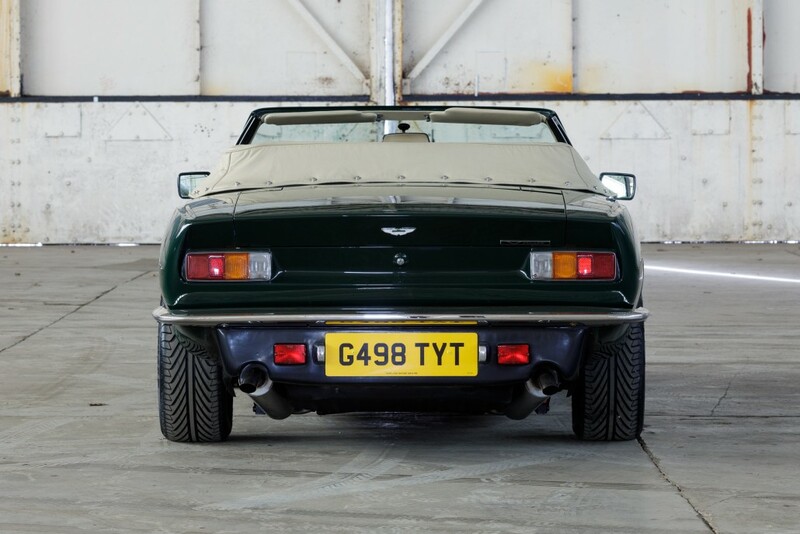 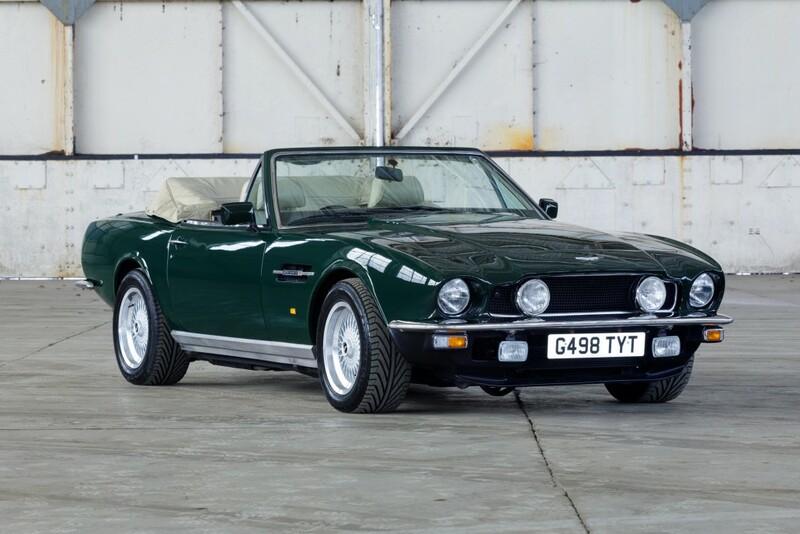 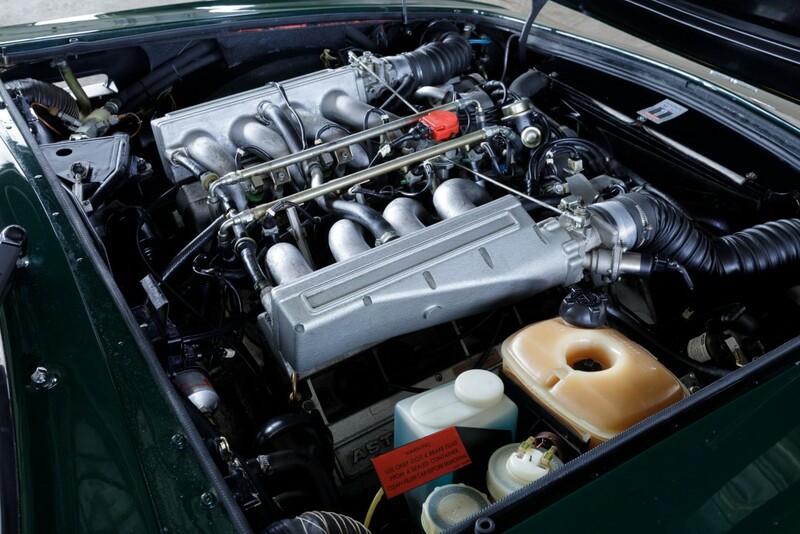 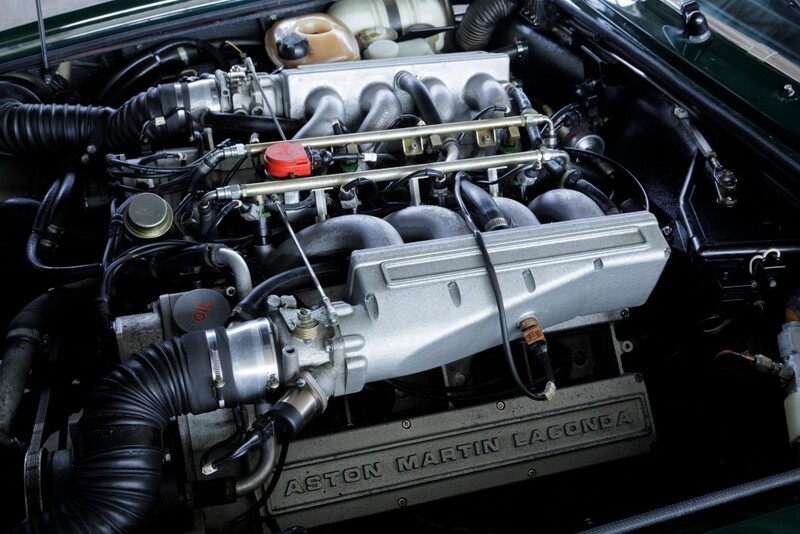 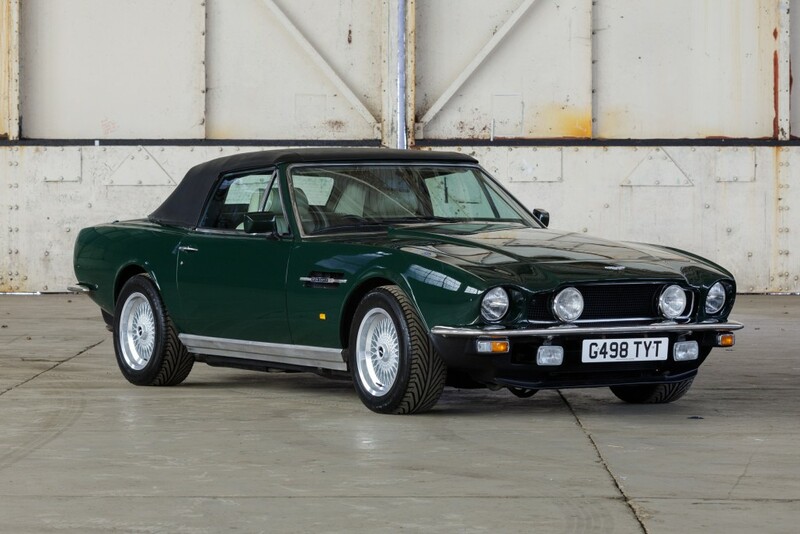 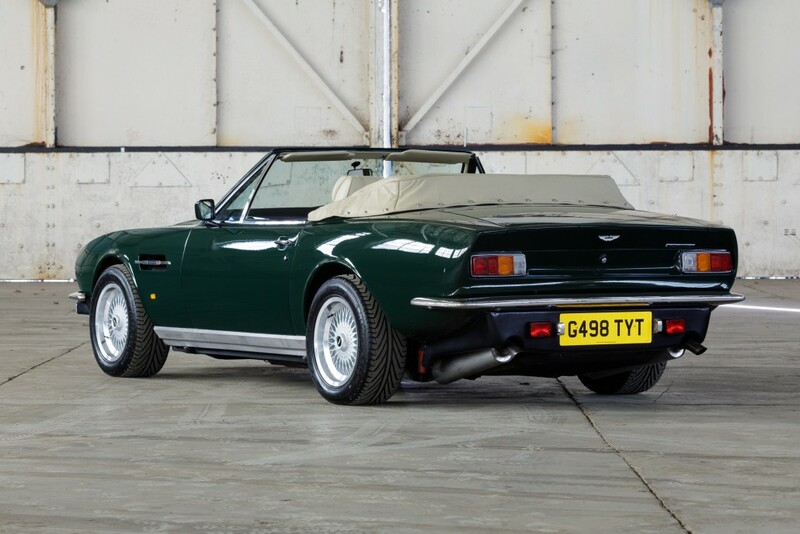 Whilst the carburettor engined Vantage claimed greater power, the Aston Martin connoisseur of this period appreciates the smoothness of the injection system. 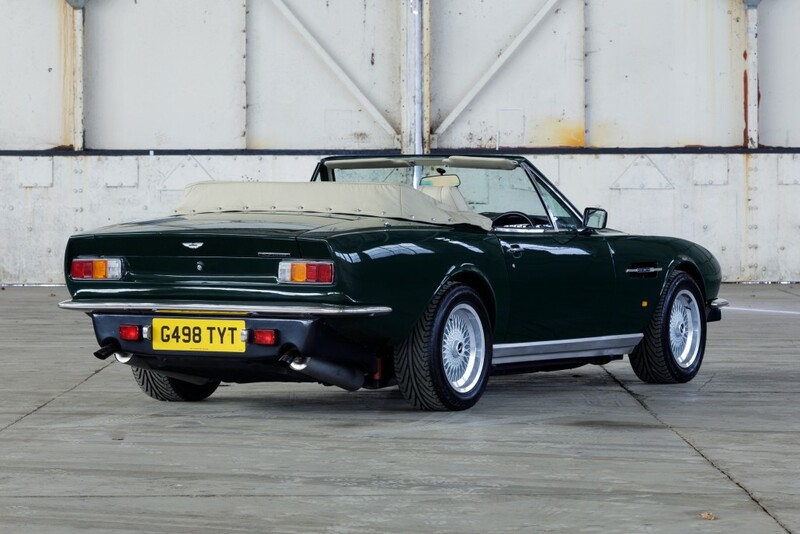 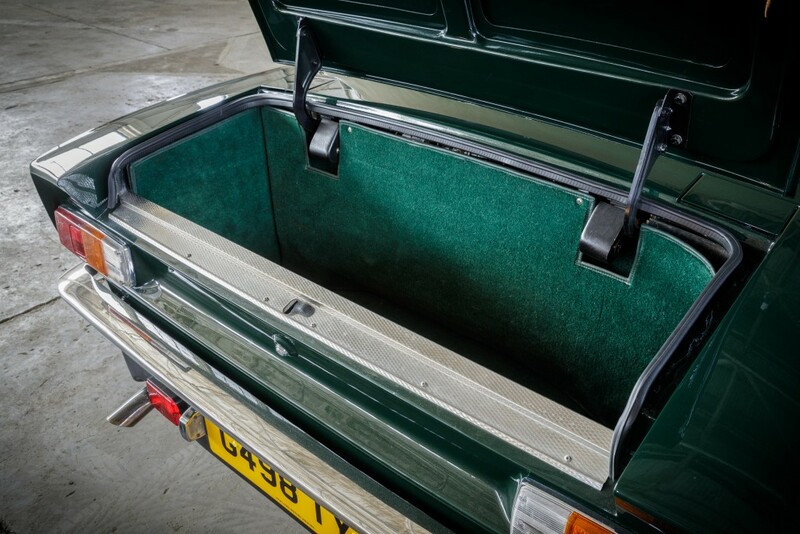 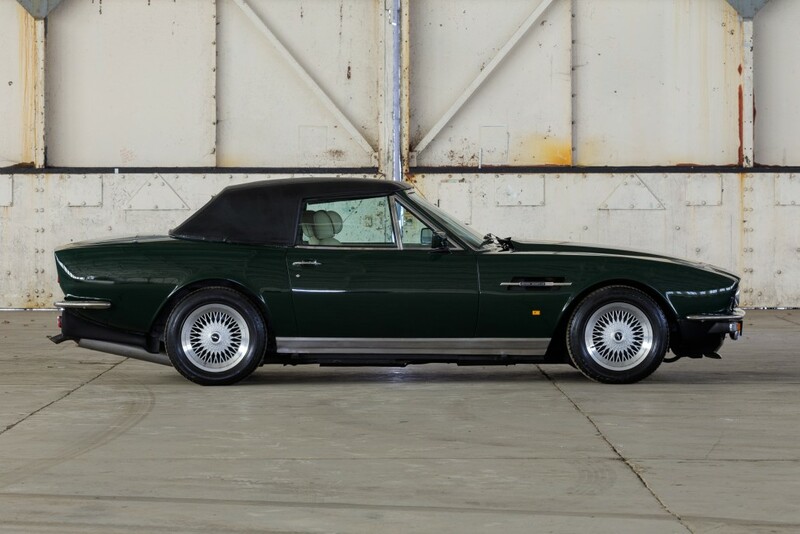 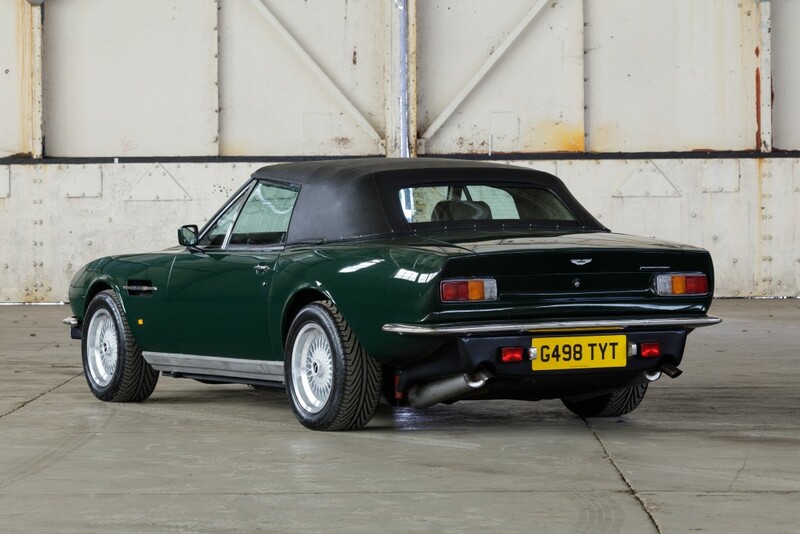 Finished in British Racing Green with a Parchment interior, this is an exceptionally sharp V8 Volante – so rare as a manual – with a great history. 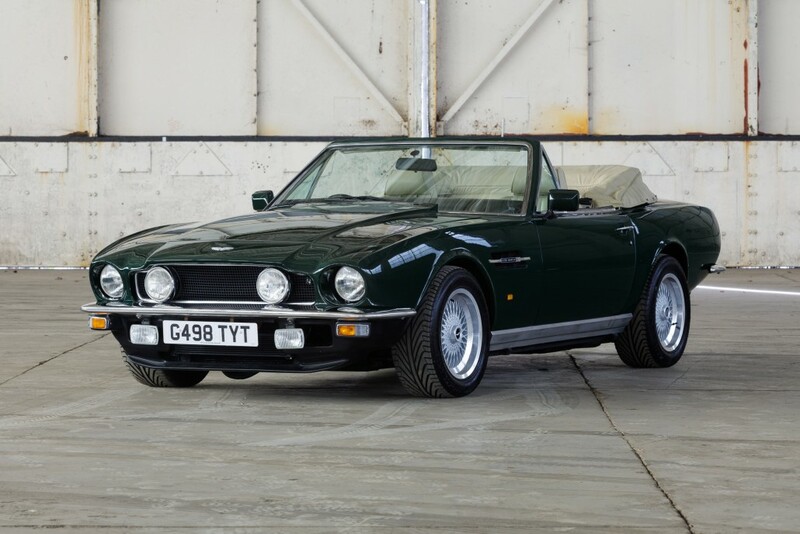 Representing the last of the V8 series Aston Martin’s, it is one of the best examples in existence.